Went to have nice food like usual, then ended up with bloated tummy. Like what did Ray said, this would be his pre-Christmas outing. and I guess he is enjoying the home-cook right now. 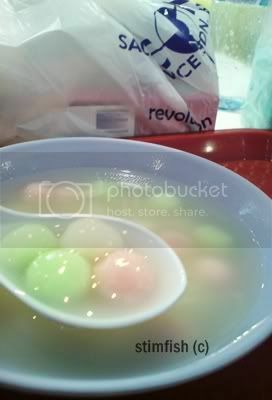 and I'm so lucky to have a bowl of TangYuan although the taste is just so-so. No regret for this day. Will update about the food and Christmas deco once I got the photos. A tired yet happy day.